St. Martin's Griffin, 9780312382193, 368pp. Emily Portman is an up-and-coming New York City editor whose life is everything she imagined it would be. She has a job she loves and a beautiful Upper West Side apartment with her husband, Sandy. But everything changes in one night, when Sandy dies in a tragic accident, and Emily is stunned to discover that her marriage was made up of lies. Suddenly, she is forced on a journey to find out who her husband really was . . . all the while feeling that somehow he isn't really gone. Angry, hurt, and sometimes betrayed by loving memories of the man she lost, Emily's only comfort is a mysterious, scruffy dog named Einstein, who comes into her life at just the right moment – and stands by her side as she uncovers surprising truths about Sandy and her own family. But is Einstein's seemingly odd determination that she save herself enough to make Emily confront her past? And when a new man arrives at her apartment, can she allow love through the door? 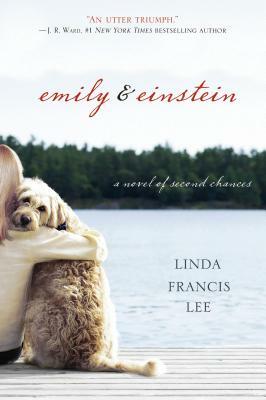 Linda Francis Lee's Emily & Einstein is a heartwarming novel about truth, love, and second chances that has captivated readers and critics alike.